Never following the crowd and being your own leader; WRONG CROWD is everything the "In Crowd" isn't. Rising above the influence and not being pressured by what society says is right. Dare to be different and do not conform. To be a 'free thinker' is to be in the WRONG CROWD. Go against the grain and blaze your own trail. Stand out and represent this shirt proudly! There is no place for shame in the WRONG CROWD because you have greatness within you.. It's a New Way of Living. #GenreGiants focuses on self-growth and serves as a platform to promote indie artists/companies, as well as the Giants who helped define their Genre's. 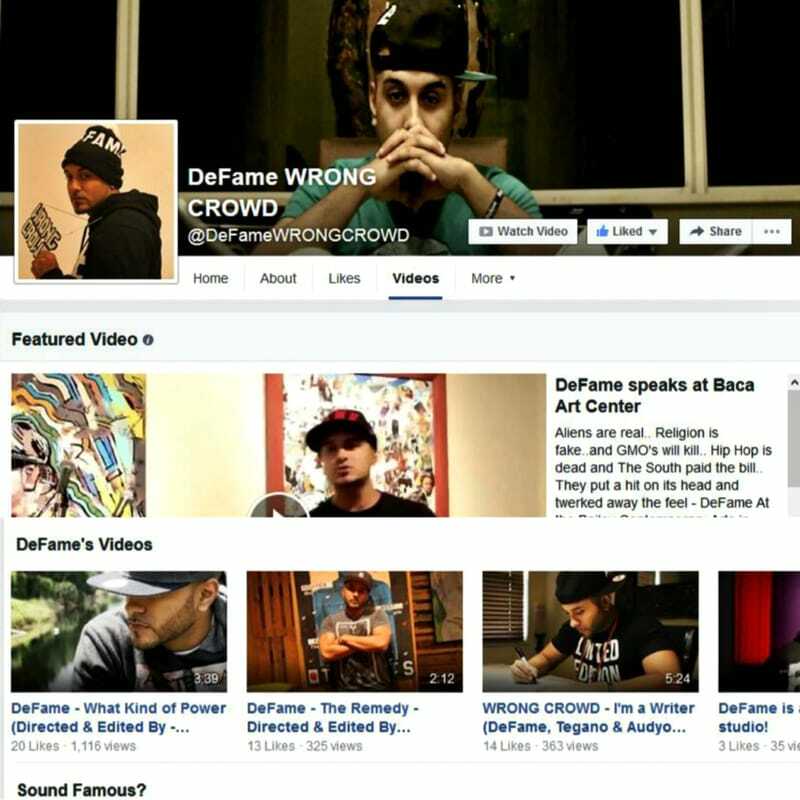 Born in The Bronx and raised in Broward County, FL, DeFame is Hip Hop's secret character! South Florida artists Audyo Sound & DeFame have teamed up to form the Hip-Hop/Soul duo, Sound Famous.